Binoculars. This is the 'Rabotoren' in Utrecht, also called binoculars by many. Designed by @kraaijvanger_architects and was completed in 2011. The building is 105m high and to me part of the most beautiful modern skyscrapers in the Netherlands. Fine Art view of the Stadskantoor Nieuwegein. Made with the new Nisi V6 filter kit and the Zeiss Batis 18mm. "De Wokkel" is part of the Amsterdam RAI Building. It's the outside of a parking garage where the cars drive up and down the parking lot. When thinking of Amsterdam, in respect of architecture, people instantly think about the canal houses. But who has been to Amsterdam and have looked over the IJ river, will think of these buildings making up the skyline of Amsterdam. A lot of new projects will be completed at this side of Amsterdam changing the skyline. The EYE film museum and the A'Dam tower will always stand for the new and modern Amsterdam skyline. Straight from a batman movie, that is the first thing I had in mind when coming to a final stage of this image. 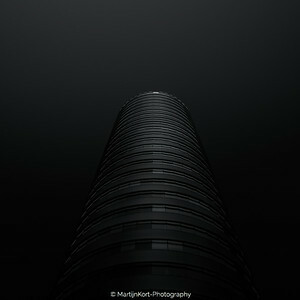 It's the Mariott hotel in Rotterdam, captured and processed in my signature fine art style. 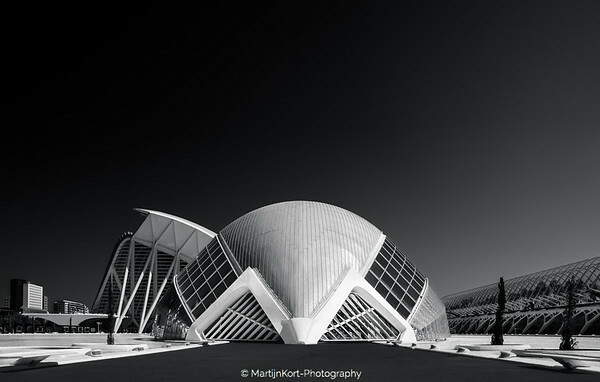 Fine Art architecture is a personal way of expressing how i see the world. From the dark we rise. 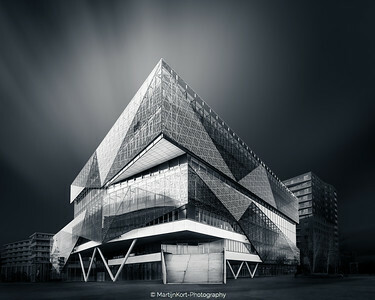 Fine art Architecture photography in Rotterdam. 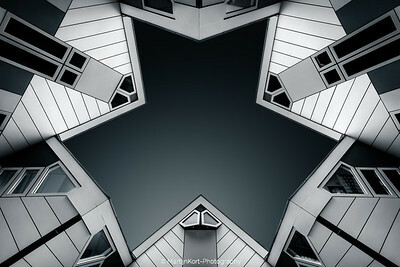 The famous cube houses produce a star when you stand in the correct position. 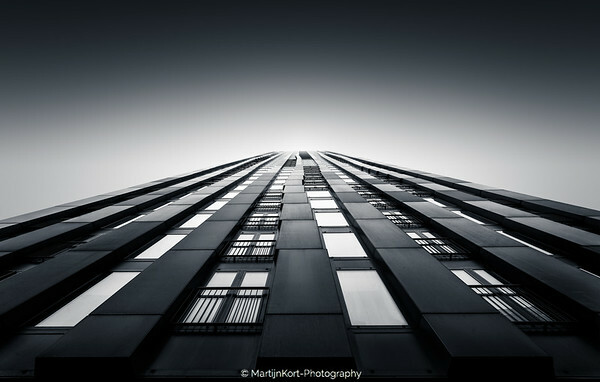 This lookup is one of the best in Rotterdam. 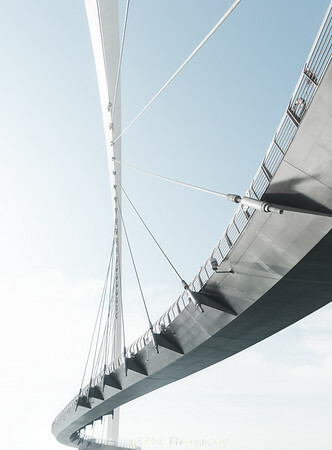 A beautiful curved bridge over the new Dubai Canal. One of the many water towers in Amsterdam. But this is one of the few 'modern' ones. 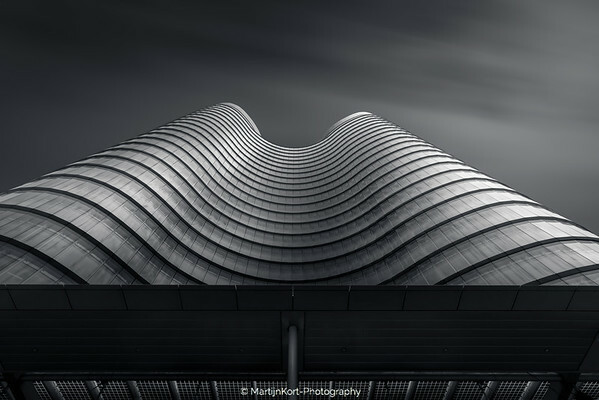 The shape makes is a perfect subject for my fine art architecture photography. This time I wanted to stay in colour as this slight blue and yellow tones really enhance the image. Just after sunrise the city was covered in fog. 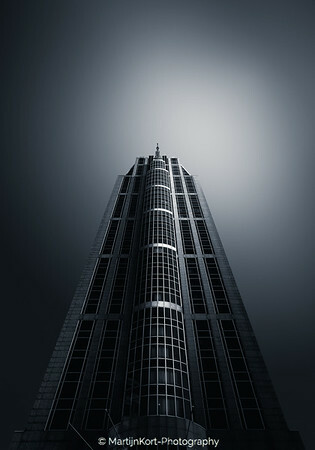 After an hour or so the fog rose to the top of the buildings, creating an verty atmospheric mood. 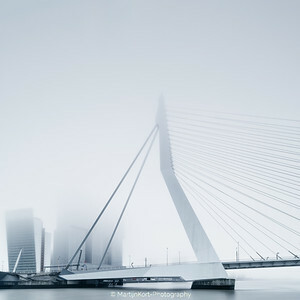 The top of the Rotterdam and the Erasmus Bridge covered in fog and the lower part nearly clear. 'The Rotterdam' captured during some high fog on an early morning. By using the fog the depth of the image is exaggerated. Looking up one of the iconic buildings of Rotterdam. 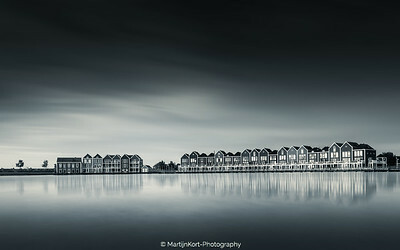 The colorful houses of Houten in a fine art edit. 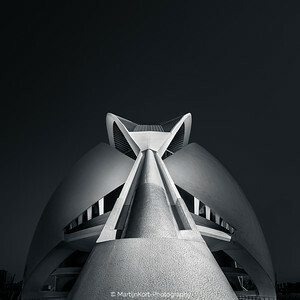 When I first saw the buildings that form the city of arts and sciences, I immediately fell in love with the architecture. Repeated lines and shapes. Modern architecture at it's best. City of arts and sciences in Valencia. Calatrava City of arts and sciences in Valencia. 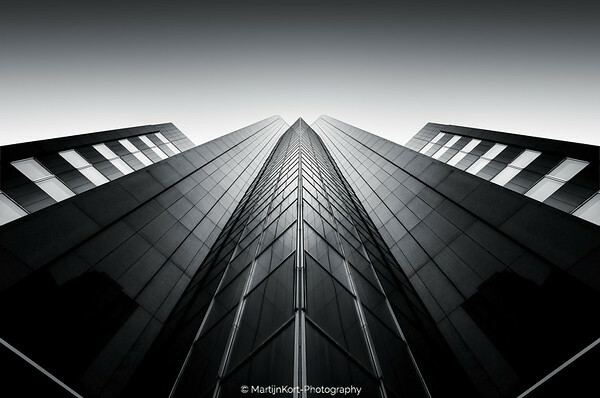 Beautiful architecture that is a dream to photograph for any fine art architecture photographer. 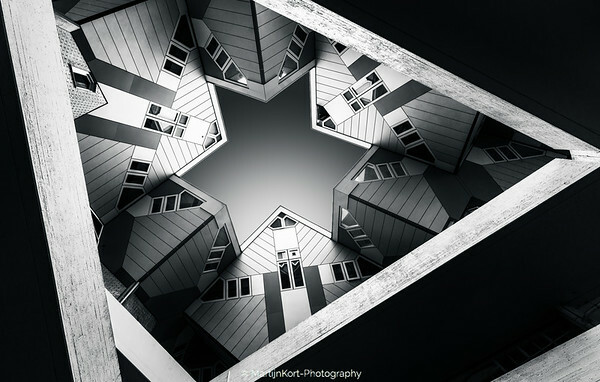 Looking up in Den Haag can really pay off. There is some stunning architecture to be found in the city. A magnificent building in Rotterdam. 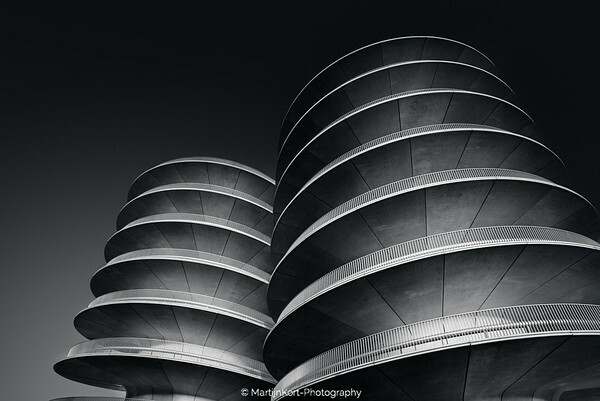 "The earth has music for those who listen" -Shakesphere - The shapes of this building remind me of a good rhythm. 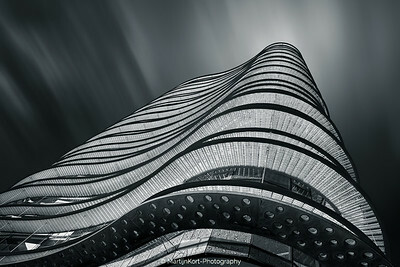 The curves flow like a rhythm around the bulding, making music.